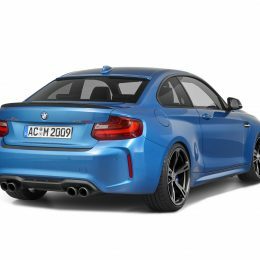 You expect nothing less from the AC Schnitzer tuning experts: Even where it seems that no further improvement can be expected, they repeatedly set new standards in the field of BMW tuning. 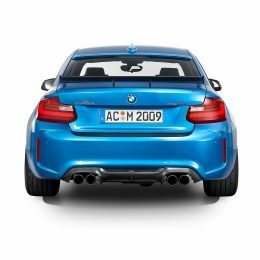 This is demonstrated afresh by the BMW M2, which now rolls out onto the road as the M2 by AC Schnitzer with even more lightness, sporting performance and dynamics. 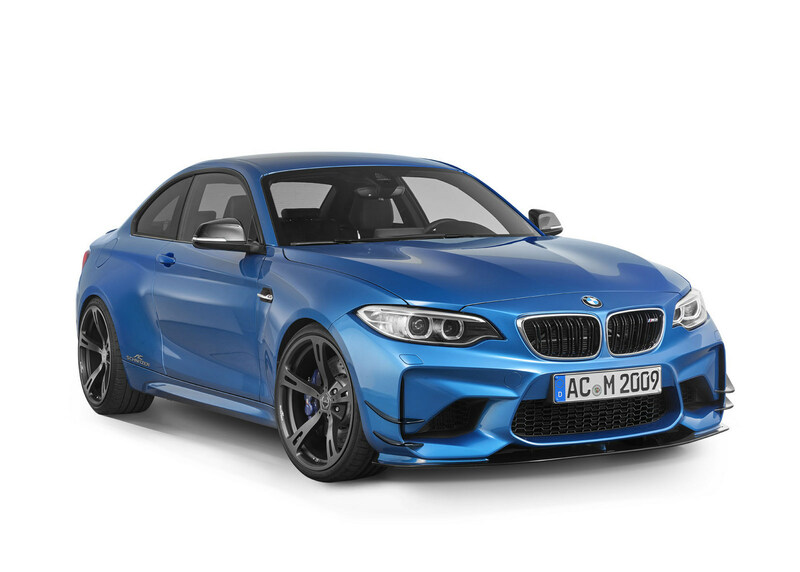 The performance upgrade to 420 from 370 HP is further supported by the optional AC Schnitzer chargecooler which increases the efficiency of the engine for maximum motorsport feeling and provides a sustained, smooth power delivery. 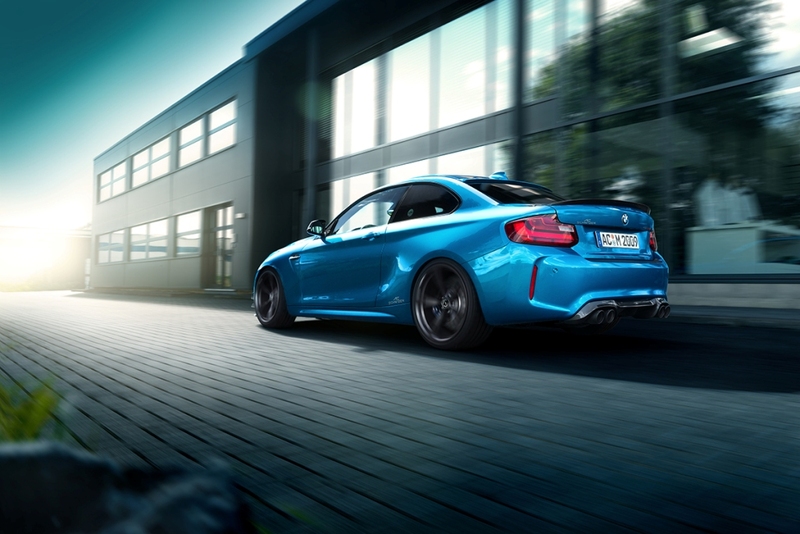 The pulsating energy below the bonnet is documented by the AC Schnitzer engine styling. 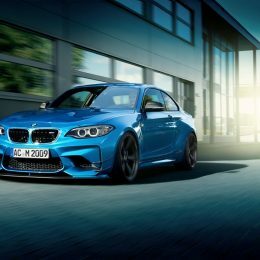 As usual with all AC Schnitzer performance upgrades, a two-year warranty is included in the scope of supply of the performance upgrade for the BMW M2. 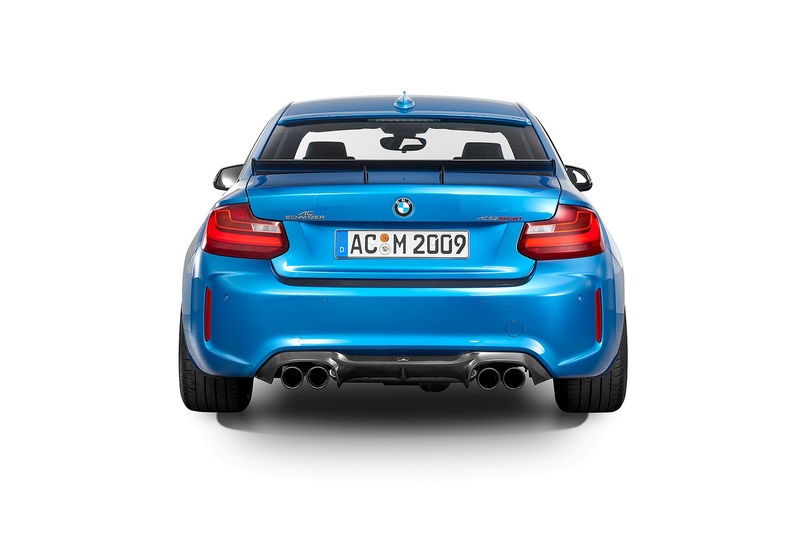 In the exhaust system, the BMW tuners from Aachen again add “a little something”. 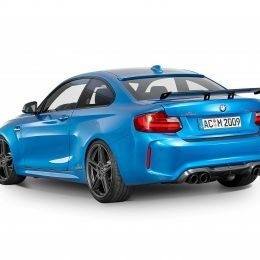 The AC Schnitzer silencer with valve control, complete with two “Sport” or “Sport black” tailpipes in right/left combination (also in the export version) provides the striking, sonorous sound of a professional athlete. 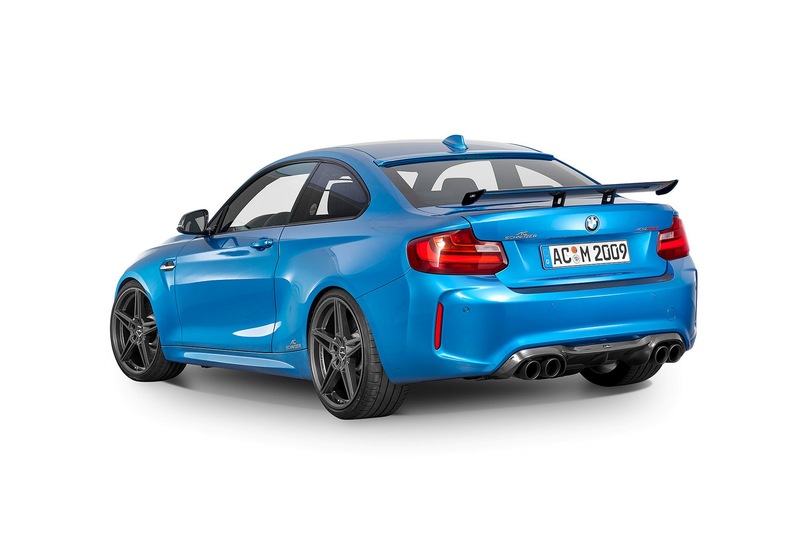 The “Sport” and “Sport black” tailpipe trims are also available individually. 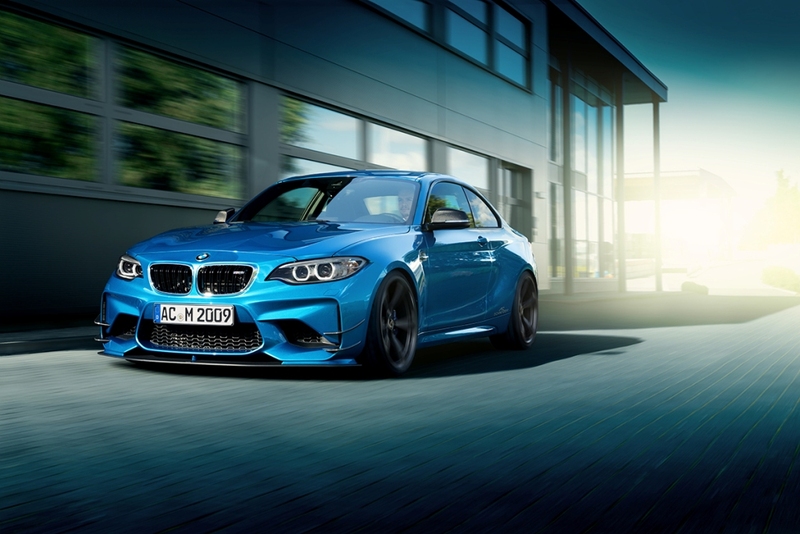 The extraordinary driving experience from a BMW M vehicle is taken to an even higher level by AC Schnitzer with its in-house RS coilovers for the BMW M2. Fully height-adjustable, with compression and rebound setting and lowering by 30 – 40 mm, the system is designed for both relaxed cruising and for fast cornering and sprints. 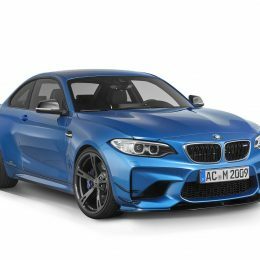 The AC Schnitzer suspension spring kit, with lowering by 25 – 30 mm at the front and 15 – 20 mm at the rear, also provides maximum driving stability. 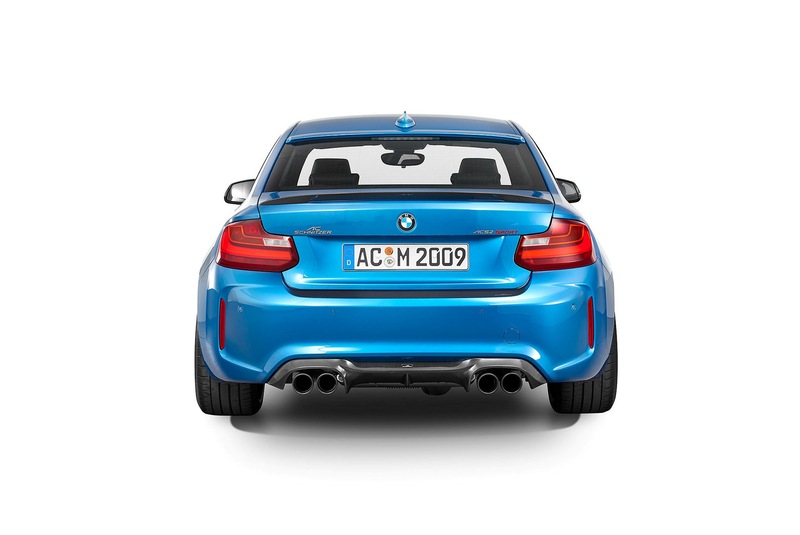 When it comes to lightness, AC Schnitzer has of course again improved the standard model a little. 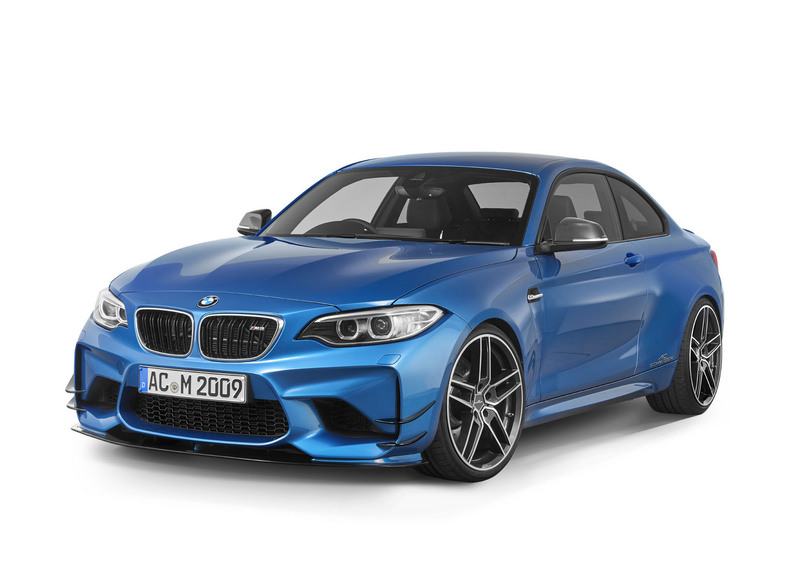 Lightweight body parts such as the AC Schnitzer carbon front side wings (2 pcs. per side), carbon “Racing” rear wing (export), carbon rear diffusor and carbon mirror cover are much more than mere decoration. 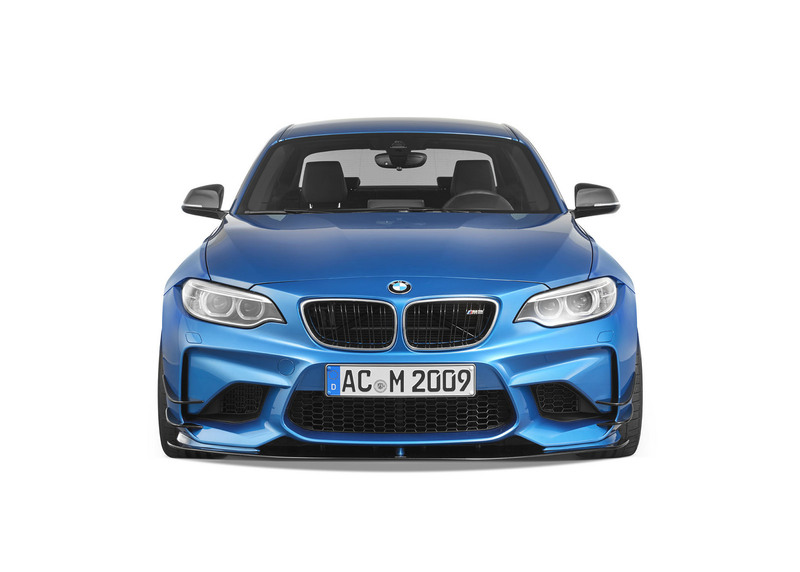 Together with the AC Schnitzer front splitter and rear roof spoiler, they provide perceptibly more downforce and maximum stability at high speeds. 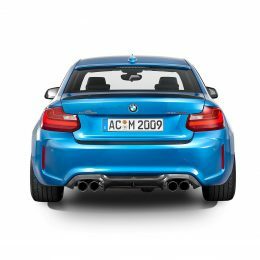 The AC Schnitzer rear skirt protection film serves to protect the boot loading edge and of course document the provenance of the targeted measures ensuring even more driving pleasure. 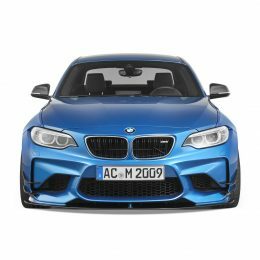 In the interior, the Aachen-based tuner sets new design accents with the AC Schnitzer aluminium pedal set, aluminium foot rest, keyholder and handbrake handle in silver or black. 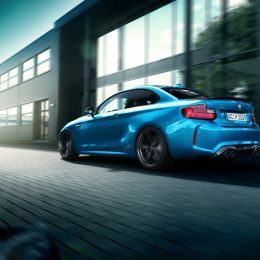 The AC Schnitzer aluminium cover for the BMW-specific i-Drive Controller and the velours footmats complete the interior concept. 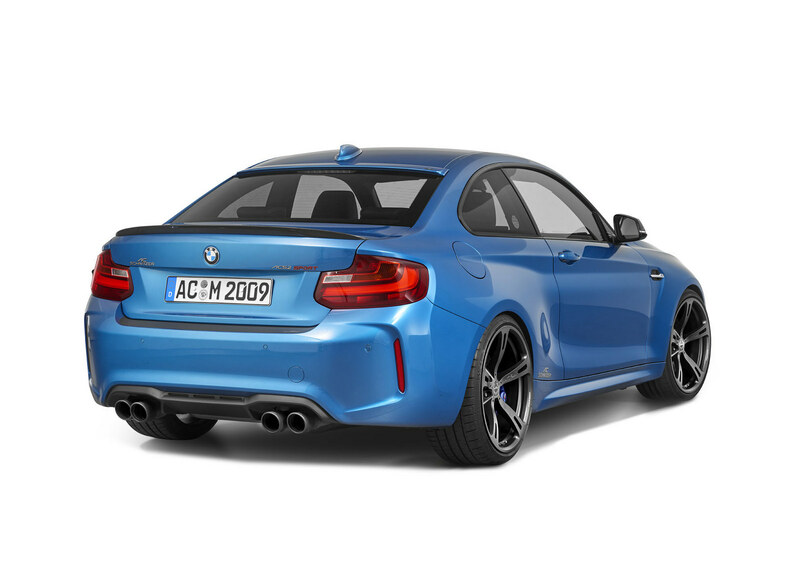 With 19 and 20 inch wheels developed in-house by AC Schnitzer fitted with the right tyre mix, the M2 by AC Schnitzer creates the best conditions for the perfect transfer of motorsport feeling to the road. AC1 rims or AC1 forged alloys in BiColor or matt anthracite, and Type VIII and Type V (BiColor or anthracite) forged alloys, are also available for enthusiastic drivers and lovers of fine design. 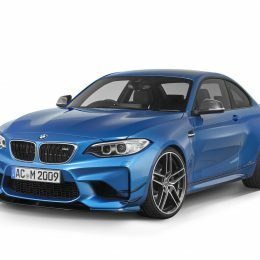 Fitted with the Type VIII rims (BiColor black, silver or anthracite) and Type IV rims in BiColor black, the M2 by AC Schnitzer races away to new records beyond the M-standard.